Alison Lohans has loved music for as long as she can remember. Apparently it all started when she was only a year old, and loved to “dance” any time she heard the high school band’s outdoor marching practice. And apparently at age three, she started playing someone’s piano by ear, which made her parents decide they should get a piano of their own and start Alison on piano lessons, which began when she was five. As a result, she learned to read music before she could read words. In elementary school, Alison learned trumpet in the school band, which she continued for the rest of her school years, adding French horn during her last year of high school, which she played throughout university. When she was twelve, she realized she’d probably need another career in addition to writing, so decided to become a school band teacher – which she actually did many years later, upon moving to Regina. When she turned fifteen, her parents gave her an alto recorder for her birthday. Alison taught herself to play it, and never stopped. She plays regularly every week and, for the past ten years, has also been teaching an adults’ recorder class called the Allsorts Ensemble. She has more than five recorders including sopranino, soprano, alto, tenor and bass – but mainly plays the alto recorder and, when she teaches, the bass recorder. At California State University-Los Angeles, Alison participated in as many music groups as possible while majoring in music. She also took as many creative writing classes as she could fit in. 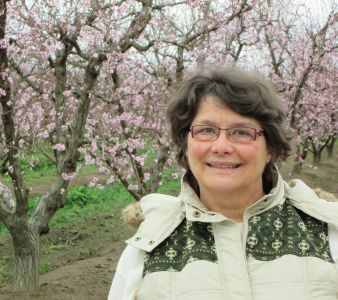 When she took her teacher training at the University of Victoria, she focussed on teaching music in addition to classroom subjects. Years later, when Alison completed her M.Ed. degree at the University of Regina, her thesis was about how young cello students practised at home. An article based on her thesis won an award for graduate students’ research in music. 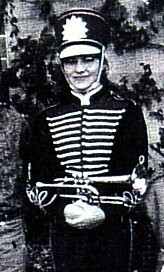 Alison’s older son John made forays with the violin and later the clarinet, and Alison often practised with him. 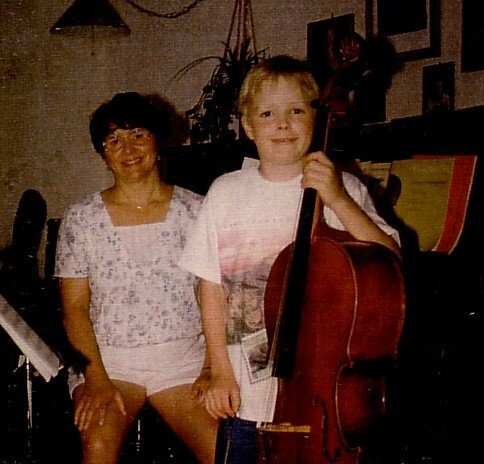 When her younger son Chris started taking cello lessons at the age of six, Alison totally fell in love with the cello. She has been taking cello lessons herself ever since 1996, and is very excited about the new cello she recently bought. Music has a prominent place in many of Alison’s books. 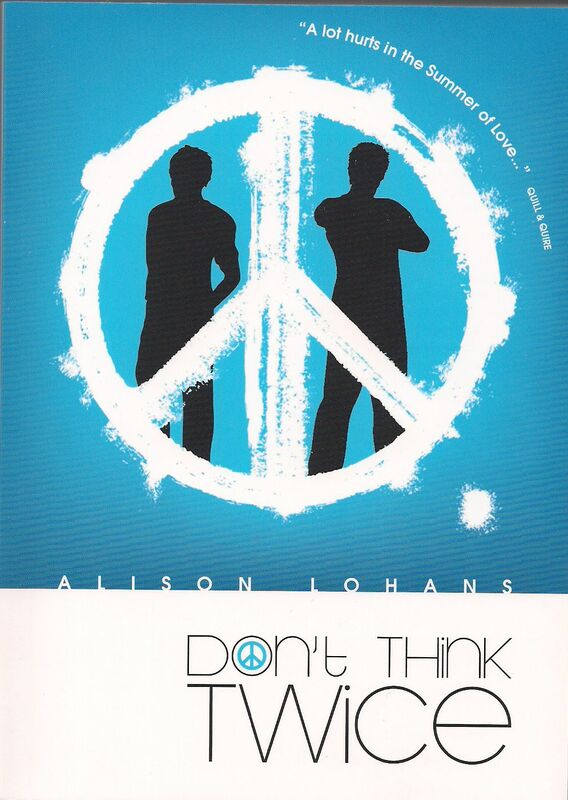 Don’t Think Twice, first published in 1997 and re-released in 2009, includes a high school band as one of its important aspects in a coming-of-age novel set mostly in the late 1960s. Alison’s picture book Nathaniel’s Violin came to her as a picture in her head, along with a melody, as she lay in bed one morning. After it was published, Alison wrote music to go with the story – which her young son Chris’s string quartet played at the book launch, as well as at many school and library presentations. Foghorn Passage features French horn player Sammie and her involvement in the local youth orchestra, as she befriends the concertmaster Matt who suffered paralysis after a car crash, while at the same time grieving for her father after his death from cancer. 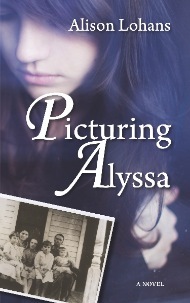 Alison’s middle-grade novel Picturing Alyssa includes a special family song that survives over many years and generations after Alyssa accidentally plants the beginnings of the song during time travel to the past. 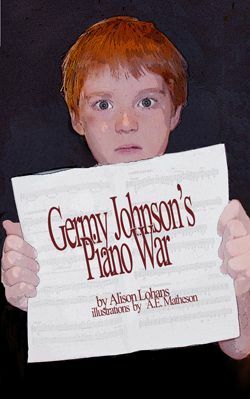 Germy Johnson’s Piano War is about what happens when J.J.’s mom signs him up for piano lessons, without asking J.J. first. Alison’s first publication as an adult was an original song for which she wrote both the music and the lyrics. “The Saskatchewan Blues” is one of the songs included in Musicanada 3, which was published in 1980. These days music is a vital part of Alison’s life. In addition to taking cello lessons, and playing and teaching recorder, Alison plays cello in the University of Regina orchestra; cello and recorder in a small ensemble that meets twice a month; cello in a cello choir that rehearses once a month; solo cornet in the Queen City Brass Band; cornet in the Poolside Brass quartet; and she also sings in Campion Schola, an a capella vocal ensemble at the University of Regina that sings Gregorian chant and Renaissance motets by composers such as William Byrd and Palestrina.